While Golden Globe race is defined by the stringent restrictions on sailing requirements and crew, the opposite of that is the Jules Verne trophy based race. This prize is awarded to anyone who can complete the fastest circle around the world. This circumnavigation race can be done by any yacht type and there is no restriction on the crew size, simply that the start and finish lines at the tip of Brittany at Le Créac’h Lighthouse and Lizard Point, Cornwall respectively. This year the attempt was launched on January 16th. It was led by a 40-meter trimaran that was skippered by Yann Guichard and with a crew of 12 members. The boat, called Spindrift 2, is on its way and it will attempt to cross the finishing line by February 26th. 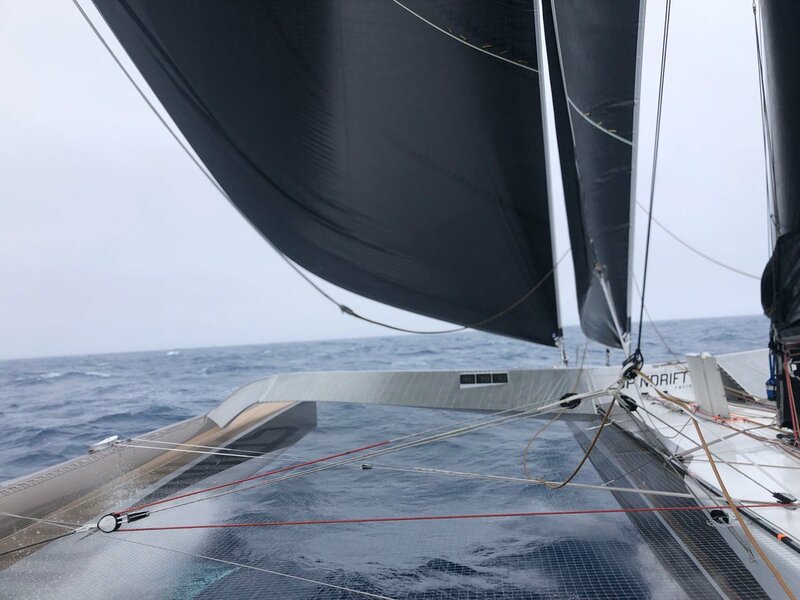 The attempt will lie in re-crossing the line and break the existing record of 40 days 23 hrs 30 min and 30 seconds that was achieved by Francis Joyon in 2017 who had a similar but smaller designed trimaran and a crew of five members. As of day 10, sailors aboard the Spindrift 2 have been able to get 97 nautical miles ahead of the previous record. This was a decrease from the previous day when they had obtained a higher lead compared to previously when they were sailing towards St Helena High. Meanwhile, their contender, Alex Alley of GBR team was able to pass the mark of 5000 miles as he sailed solo in his 40-foot yacht called the Pixel Flyer. His attempt is for a different record, that of the solo nonstop around the world record. He has been flying his boat at 17.6 knots that is impressive and he already has been able to complete a major part of the mileage out of the total 27000 miles journey.